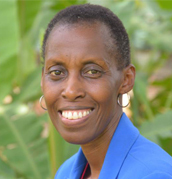 She is an Associate Professor and Head of the Mass Communication Department, Uganda Christian University (UCU). She holds a D. Litt. et Phil. (Communication) (University of South Africa), an M.A. in Journalism (University of Lowa), and B.A/ Education (Makerere University). 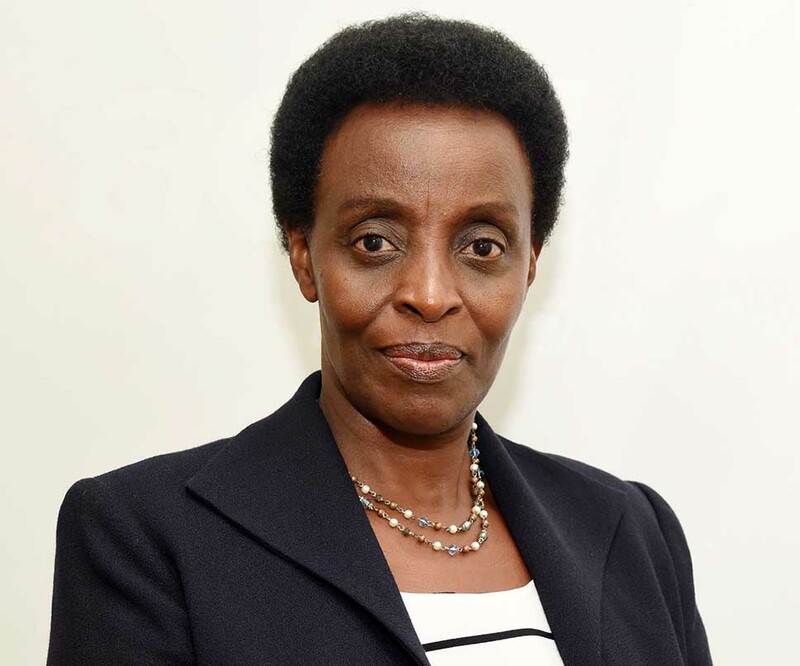 She served in various capacities (Lecturer, Senior Lecturer, Associate Professor and Acting Head of Department) at Makerere University between 1994 and 2011, and has served on several boards including Uganda’s Broadcasting Council, the New Vision Printing and Publishing Corporation, the African Centre for Media Excellence, World Vision Uganda and World Vision International. Her research interests are in the broad area of media and democracy with specific interest in regulation and participation. She has published on the subjects of indigenous language media, media regulation and new media and participation. She is Associate Editor of the Journal of African Media Studies (JAMS) and serves on the editorial boards of several other journals in the field including Communication, African Journalism Studies, and African Communication Research. Mr. Robert is a holder of a Bachelor of Laws degree from Makerere University and a Post Graduate Diploma in Legal Practice from the Law Development Centre, Kampala. 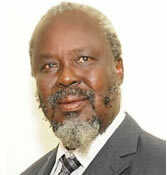 He is an advocate of the High Court of Uganda and a member of the Uganda and East Africa Law Society. Robert joined The New Vision as CEO on January 1, 2007. He has previously served as the Executive Director of the Uganda Media Centre, Company Secretary and Legal Officer of New Vision Printing and Publishing Company as well as Legal and Administration Officer of the Monitor Publications Ltd.
Mr. Oode holds a Bachelor of Commerce degree (banking option) from Makerere University in Kampala.He was a finance officer in the ministry of finance planning and economic development since 1976 where he worked his way up to the office of assistant commissioner in 1995 which position he held till August of 2010. He has served on the boards of Kakira Sugar Works from 1992-2000; National Water and Sewerage Corporation 1988-1999; Uganda Development Bank 1992-1994; and Mehta Group of Companies 1987-1996. Mr. Charles holds a Bachelor of Science degree in botany and zoology from Makerere University and a Masters degree in agriculture plant breeding from the school of Agriculture of the University of Aberdeen Scotland (1979). He is a self employed consultant in agriculture and a general businessman in forex bureau, property and general merchandise business. He has formerly served in the public service for 30 years in different organizations like with the Government of Uganda, the former East African Community, the Agricultural Secretariat of Bank of Uganda and the Ministry of Finance. 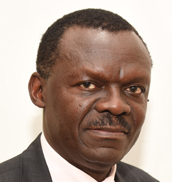 He is currently a non executive director on the board of NIC and a former director on the Board of Uganda Rayon Textiles with considerable experience in both private and public sectors of the Ugandan economy. He is an accomplished Public Private Partnerships and Advocacy Expert with a wide range of experience of over 25 years in the communications field ranging from journalism, public relations, advocacy, public speaking, public private partnerships, preparation and implementation of communication strategies, managing departmental budgets, publications, the creation of strategic partnerships and implementation of knowledge building and management systems in the private and public sector as well as financial management. He possesses excellent verbal and written communication skills attained from practicing journalism and training at different levels. He has leadership skills that have been honed by working as the Head of Communications and Official Spokesperson of Uganda’s Ministry of Finance, Planning and Economic Development and the Privatisation Unit – opportunities that have strengthened his skills in leading a result oriented group. He has significant experience in journalism practice as well as media training within a team based culture involving planning, organisation, coordination and commitment. 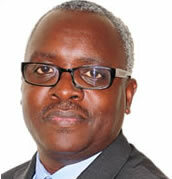 He is a director representing the second largest shareholder of the company, NSSF. He is a holder of Master in Business Administration from the University of South Carolina, South Carolina USA and Bachelor of Science from the Liberty University, Virginia. He is a Certified Public Accountant and a Diplomate in Forensic Accounting. 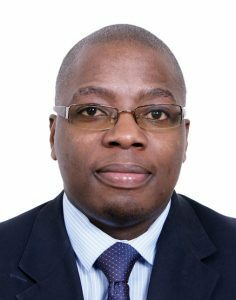 He is currently the Chief Financial Officer at National Social Security Fund and previously worked at Barclays Bank Uganda as Retail Risk Director and Director of Finance. He is a dynamic, competent and highly motivated professional offering 18 years of unique knowledge and experience in Auditing, Financial, Risk & Strategy management in fast paced international and local environments. He has a proven record of developing and managing corporate strategies, and in developing and implementing financial and operational controls. She is a director representing the Individual shareholders of the Company. She is the Executive Director of Uganda National Health Consumers’ Organization (UNHCO), a seasoned expert on Health with over 15 years’ experience, an authority on the Rights Based Approach (RBA) and Social Accountability. She currently provides consultancy support to local and international NGOs adapting social accountability approaches. She has been involved in work in partnership with international bodies such as World Health Organization, DFID, World Bank Institute and European Union. She developed a module for social accountability published by World Bank Institute currently being used globally as a resource material. Other positions held include the National Health Policy Advisory Committee, Institutional Review Board (IRB) of Makerere University School of Public Health and Uganda National Council for Science and Technology. Mr. Michael Nyago obtained a Bachelor of Economics from Makerere University and Masters in Development Economics, William College, Massachusetts from U.S.A. He is a Fellow of the Association of Chartered & Certified Accountants (UK), member of the Institute of Certified Accountants of Uganda and Internal Auditors & Certified Internal Auditor. He is also a member of the Association of Fraud Examiners (ACFE-USA) and Certified Governance IT (CGIT). 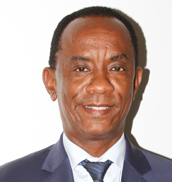 He has extensive experience in auditing, risk management and governance spanning over 20 years having worked in the following organizations Bank of Uganda as a Senior Examiner of Banks for 9 years, DFCU Bank as the Chief Internal Auditor for 10 years and currently, Centenary Bank as the General Manager Audit for 7 years now. Mr. Michael has served on the following boards; Makerere University, Kyambogo University, Uganda National Examination Board and Institute of Internal Auditors. He is a seasoned trainer for board audit committees and internal audit professionals. Mrs. Susan Lubega obtained a Bachelor of Chemistry from Makerere University and a Masters (Distinction) in Environmental Pollution Control from the University of Leeds, UK. She has over 15 years’ experience as a consultant working with medium to large enterprises, government institutions by helping them implement management systems compliant to international standards. She is licensed by National Environment Management Authority to carry out environmental impact assessments and environmental audits. She has worked in different industries including aviation, petroleum, manufacturing, telecommunications, pharmaceutical distribution, engineering and government. Ms. Susan has published numerous articles on quality management and environment management. 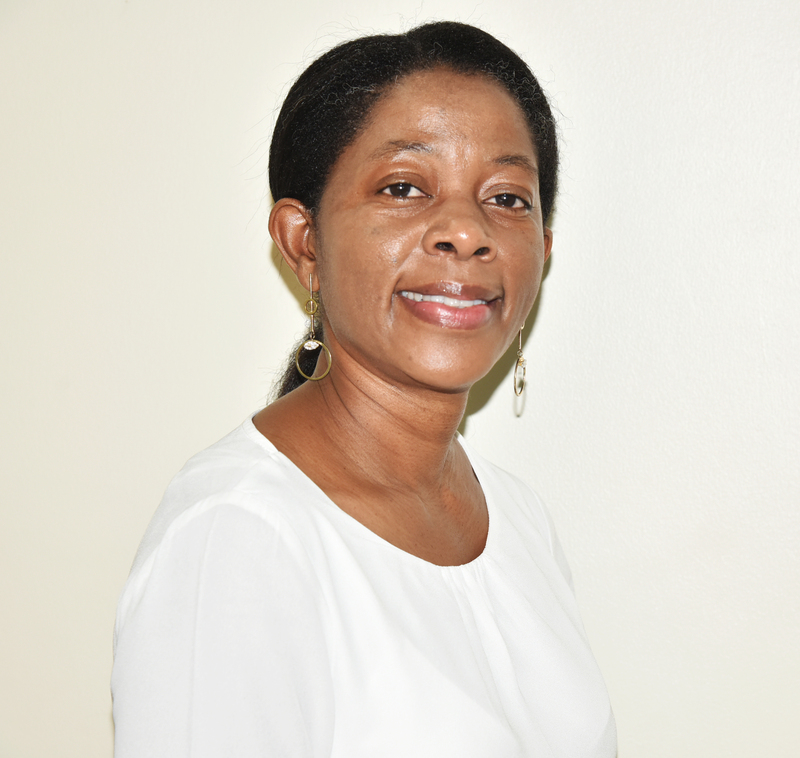 She is the chairperson of the management systems standards technical committee (TC 10) charged with recommending to the National Standards Council the standards to be adopted by the country. She is currently serving on the Board of World Vision and was a non-board member for the Audit Committee of New Vision Printing & Publication Co. Ltd.
Mr. Moses holds Masters’ Degrees in International Sports Law, and, Science, Finance & Financial Law. He is an Advocate of the High Court and all subordinate courts thereto. He has over 15 years’ experience in legal, administration and corporate governance skills and is currently the Director, Privatisation Unit, Ministry of Finance, Planning and Economic Development. He has previously held the following positions; Head Legal Services, Privatisation Unit, Ministry of Finance, Planning & Economic Development, Legal Counsel with the Civil Aviation Authority-Uganda and was an Associate with Ms Nangwala, Rezida & Company Advocates. He currently serves on the following Boards; Kampala Music School Ltd, Uganda Railways Corporation, Uganda Swimming Federation, Watoto Ministries Provident Fund, Watoto Church Council and the Uganda Olympic Committee. He was appointed on the Board to represent the interests of the majority shareholder of the Company, Minister of State for Finance (Privatization). 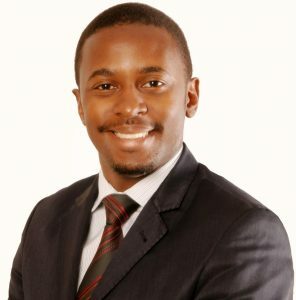 Peter’s career spans over a dozen years with roles in technology, business analysis and retail banking, including leading the Digital Finance departments at Equity Bank Uganda and dfcu Bank. He has extensive experience in developing and commercializing products, new customer acquisition, digital channel utilization and scaling plans in consumer services. In his current role as the Manager Competitive Strategies at Financial Sector Deepening Uganda (FSDU), Peter is championing the use of technology to deliver responsive and responsible financial services to varied market segments with a focus on youth, women, refugees and small businesses. Peter is a Microsoft Certified Systems Engineer (MCSE), holds a BSc (Hons) in Software Engineering from Kingston University and a Master of Business Administration (with Distinction) from the Edinburgh Business School. 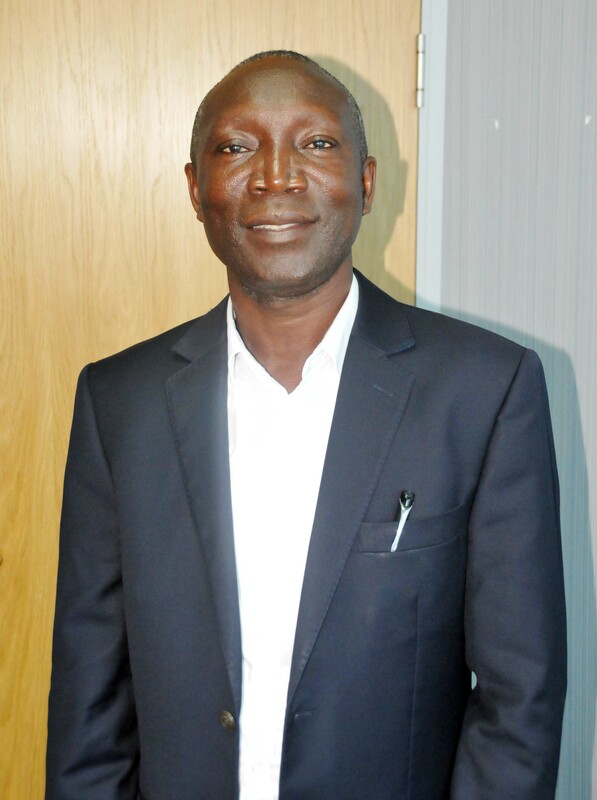 He has attended various courses on leadership, project management and market system development. Peter is currently serving on the Board of The Leadership Team and advises several startups and fintechs on their regional market entry and growth strategies.